Figure One. Karakuri Island Data Plot. 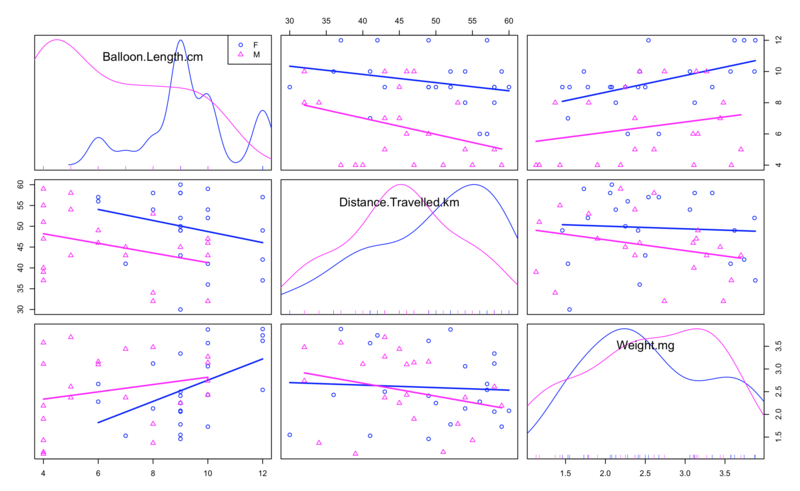 The graphs shown above compare male and female Karakuri Island spiders using the variables balloon length, weight in mg, and total distance traveled.